Bateria Digital Carlsbro CS D130M. Cor: . 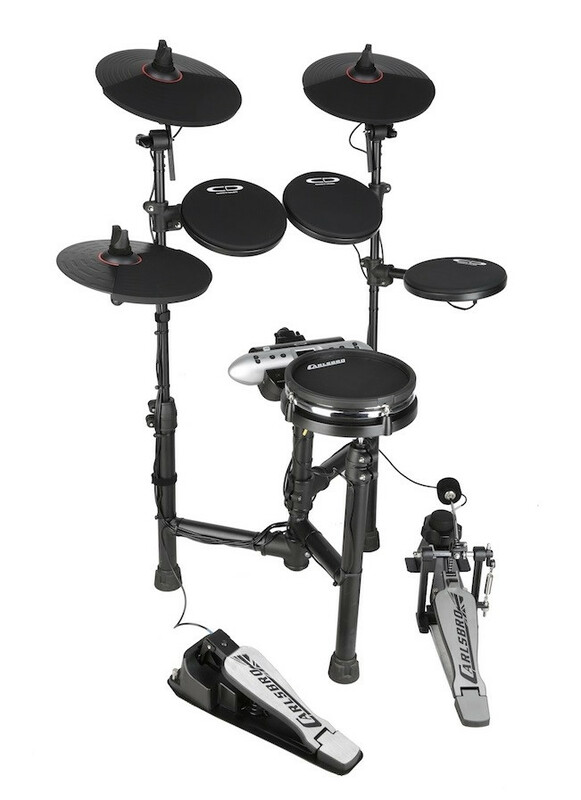 The New Carlsbro CSD130M 8-Piece Electronic Drum Kit features an 8? Mesh snare drum pad, 10 user drum kits, 20 preset drum kits, 250 voices and reverb effect. Suitable for quiet practice via headphones or playing live at small venues through a powered amplifier. 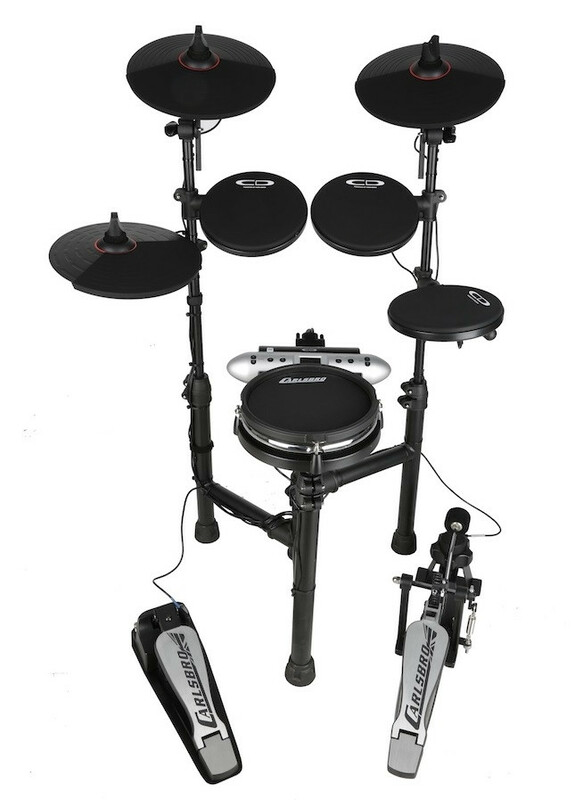 The New Carlsbro CSD130M 8-Piece Electronic Drum Kit features an 8? Mesh snare drum pad, 10 user drum kits, 20 preset drum kits, 250 voices and reverb effect. Suitable for quiet practice via headphones or playing live at small venues through a powered amplifier. Ideal for the complete beginner through to more advanced players requiring a no-nonsense easy to use kit with incredible sensitivity on all pads. The pads “Real Feel” touch is extremely close to an acoustic kit, due to the specially selected Silica/rubber, chosen for all CSD models by professional drummers. Snare drum Pad is dual zone allowing open/closed rim-shots, plus dual Chokeable Cymbals. 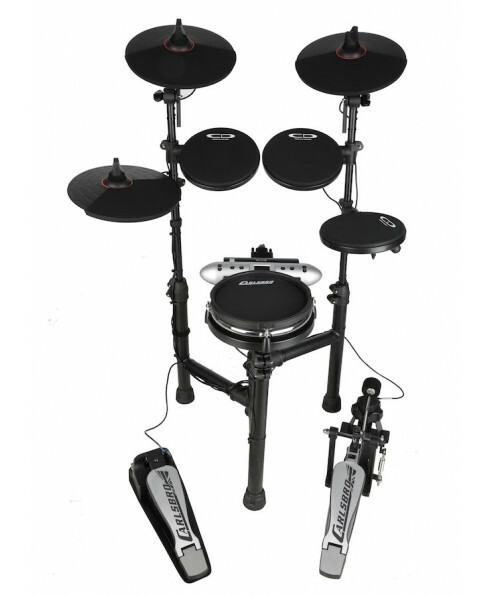 A high quality acoustic kick drum pedal is included in the package You can also play along using your smart phone, mp3 player or tablet via the aux jack. The rack is light yet very stable, allowing it to be folded complete for easy storage and transportation. 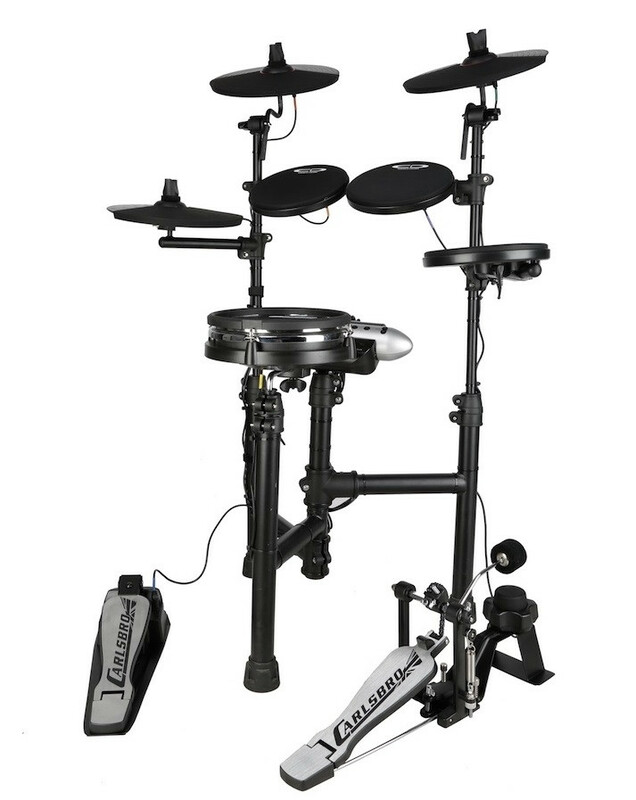 Midi in/out is not often seen on kits at this price point is a additional feature along with a high quality acoustic kick drum pedal included in the package. A truly great kit that punches way above the competition at its price point. Carlsbro Headphones and Carlsbro EDA30 – 30 Watt, EDA50 – 50 Watt, and EDA200 – 200 Watt drum amplifiers are available for this kit and all the Carlsbro CSD range.